Best Supporting Actor: With four of the favorites being past winners, this year looks to carry some very heavy-hitters. It’s pretty rare for an actor to win multiple times in the Supporting category. This year has a strong possibility of bucking that trend. Would it not be great to see Robert De Niro or Tommy Jones back on the stage on Oscar night? For ol’ times sake? 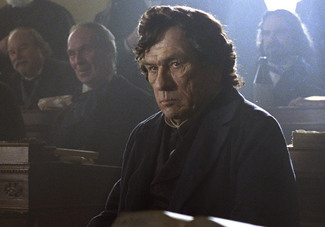 Early buzz about Lincoln has suggested that Jones may not only be the best actor in the film but the best thing about the film, period. Jones, already having won for The Fugitive, hasn’t been around the awards buzz much in the past two decades, but he’s managed to show up with some great performances in that time. Most memorably, Jones gave a compelling, understated turn in No Country for Old Men. There’s no shortage of respect for Jones as a performer. Since its hard to know if Hollywood will go for Lincoln, the actor may be the thing they feel the most comfortable awarding. His fellow actors – Sally Field and Daniel Day-Lewis – already have two Oscars each, so if giving love to one category really factors in, that goes in Jones’ favor also. 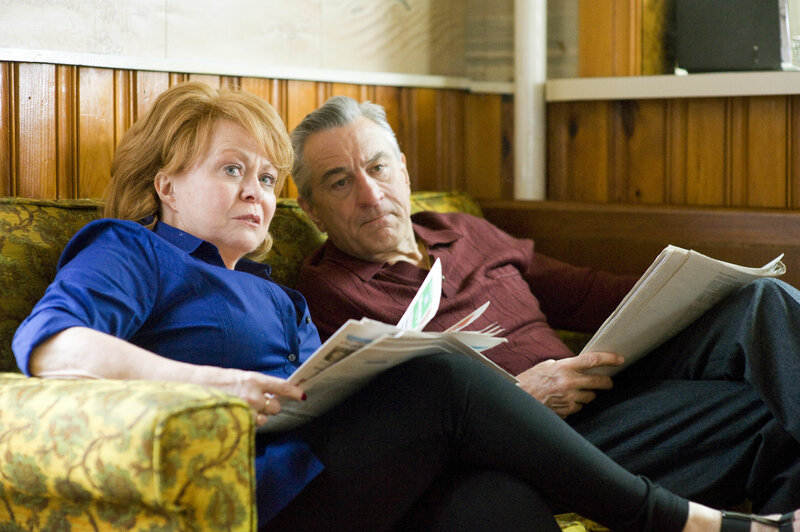 De Niro emerges in what seems like the “serious comedy” of this year. As I mentioned in a previous post, these films have a habit of showing up with lots of buzz but petering out by the time awards are given. If The Silver Linings Playbook has a chance at a major win, it may well be in this category. Starring in the early favorite for Best Picture, Alan Arkin has gained a lot of traction since the World Premiere. Arkin won this award not too long ago for Little Miss Sunshine, in a small but scene-stealing role. I know this will upset some Arkin loyalists, but his lack of range – pretty much from grumpy to grumpier – has always bothered me. I can’t really see this role being different enough from Sunshine to excite voters in new ways. While Hoffman hasn’t won in this category before, I just don’t see him as a frontrunner at this point. Unless critics swing hard for The Master – a very possible proposition – the film is in danger of winning support altogether. I wouldn’t venture to say it will be shut out, but I don’t think it’s asinine to propose the possibility. The best chance the film has are with its three stars. However, Hoffman won fairly recently for Capote in a role that wasn’t drastically different from The Master (see Sean Penn’s majorly diverse close wins). This makes me think he might be happy to just show up. It might be wishful thinking to predict that Dwight Henry gets a nod for Beasts of the Southern Wild, but I defy you to find me a more dynamic, textured performances than Henry’s? I’m fairly stunned that his work (somewhat overshadowed by his brilliant young co-star) hasn’t already had a ticket punched for every critical award possible. Am I missing something? In a year with lots of old Hollywood pedigree, Henry stands out as the newcomer who knocks everyone else out of the park. 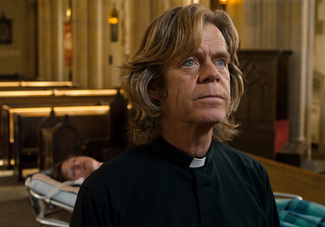 For now, I have William H. Macy on the outside of this category. With the right amount of support he could totally swoop in to win. Macy’s a much-loved and wildly overdue performer. The Sessions has gotten good to great reviews so far. If it plays well and Macy starts getting some critic love, this could quickly turn into his to lose. As always at this point, its too early to say, but of all the major Acting categories this one seems to have the most solidified (if somewhat name brand) people leading the pack. If there will be an easy group of nominations to predict, I’m guessing its here. This entry was posted in Best Supporting Actor, Films, Movies, News, Oscar Talk and tagged Alan Arkin, best supporting actor, cinema, critical talk, Dwight Henry, Entertainment, film, Films, Lincoln, Movies, oscar, oscar hopeful, philip seymour hoffman, picks, predictions, Robert De Niro, The Master, The Sessions, The Silver Linings Playbook, Tommy Lee Jones, William H. Macy. Bookmark the permalink.